North Carolina anxiously awaits its grades. State law (General Statute 115C-83.15) now (2013-2014 school year) directs the State Board of Education (my former employer) to award each of the state’s public schools a grade, A-F. 80% of the calculated score is based on standardized test scores. This is, to this citizen, further evidence of the arrogance of North Carolina’s pompously conservative law makers. Is their goal, to improve the state’s public schools, when there actions are designed to make it easier for parents to judge their community schools at the same time that they continue to cut staff and instructional materials? An October 2013 NC Policy Watch article itemized the effects of state’s education budget (2013-2014), as reported by 34 local mostly conservative news outlets in 34 NC towns. Among other degradations to North Carolina children, the cuts totaled the loss of 364 more teachers, 901 more teacher assistants and $8,226,774 for textbooks and instructional materials. By coincidence a publication just released by the Southern Education Foundation reports that students in American schools, who qualify for free and reduced lunches, now outnumber those who do not. 51% of U.S. public school students are low income children. Of North Carolina’s Students, 53% are low income, and to our south, 58% of South Carolina and 60% of Georgia public school students are low income. I especially appreciated the statement made by SEF Vice President Steve Suitts. What Offends Me the Most! Many of you know by now that I have, surprisingly, become a sports fan. Although I played sports as a youngster, I’ve never been a fan of any sport, until recently – thanks to my son’s enthusiasm and nuanced knowledge of profession basketball and now soccer. We hold season tickets for Bobcat (oh yeah, Hornet) games in Charlotte and we drive down regularly to pull for our favorite team (though I’m still getting my head around my team without Josh McRoberts). Even though there are still aspects of sports fanaticism that bother me, only one thing truly offends me. It’s when the arena features, during timeouts, court competitions for attendees, sponsored by the “North Carolina Education Lottery.” It’s that name, Education Lottery, that sends needles through my soul. 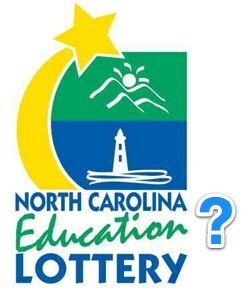 It’s no surprise to the thinking citizens of NC, that our nine year old state lottery has done nothing to improve the state’s education – nor, in my humble opinion, was it ever intended to. Even though our education budget, in dollars, has risen in the last three decades, its percentage of the states general fund has declined for the past 30 years, according to today’s WRAL.com article, NC education spending on decades-long slide. In the 1980s, 44¢ of every dollar was spent on education. Today only 37¢ goes to schools. One would hope that a North Carolina Education Lottery would have at least slowed this decline, if not brought it to a haul. But, in fact, the rate of decline has accelerate. More than half (57%) of the 30-year decline occurred in just the last decade, since the Lottery’s passage in 2005. The true effect (and intent) of the North Carolina Education Lottery is enabling an increasingly corporate-sponsored General Assembly to provide more tax relief to the state’s wealthiest and most privileged. ..and becoming a member could be as easy as a few dollars and the right set of numbers. …and algebra is not required! Browder, C. (2014, July 8). NC education spending on decades-long slide. WRAL.com. 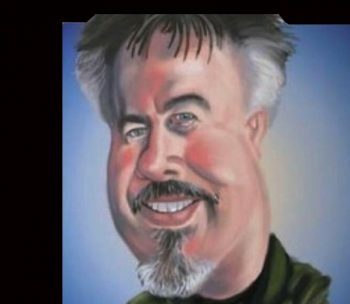 Author David WarlickPosted on July 9, 2014 Categories education, politics, shakabukuTags bluenc, education, lottery, NC, NCEL, North Carolina, North Carolina Education Lottery, NotEducationLeave a comment on What Offends Me the Most! In early 2012, Public Policy Polling ran a national survey to determine the favorability of each state in the union. Not surprisingly, Hawaii was number one with 54% of those polled giving it a favorable rating and only 10% an unfavorable. Southern states, North Carolina and south, generally did not fair well in popularity. Exceptions were my state (NC) and Tennessee, both landing among the top ten. All others, except for Florida, were in the bottom half, four of them in the bottom 10. Later that year a new government took control in North Carolina, Republicans winning 65% of the seats in the General Assembly based on only 52% of the citizens’ votes (see the Best State that Money can Buy). Since then, this arrogantly conservative body has? And the word is out thanks to the New York Times (here and here) and even the Colbert Report, here (starting at 4:10). North Carolina’s national image has seen a strong shift in a negative direction since that time. Its favorability has dropped from 40% to 30%, while the share of voters with an unfavorable opinion of it has more than doubled from 11% to 23%. Its +7 favorability rating would have ranked it 40th in our national study of state popularity in 2011, rather than its top 10 popularity at that time. I fail to see how this points to improved economy, more good jobs, safer and healthier citizens, more tourists or new businesses. Scaling down the travel part of my work has provided me with weeks at home instead of days or hours. This leaves me with time to play/learn more about some tools I’ve only been tinkering with in the past. In addition to that, it’s given me time to pay more attention to some topics that I’ve ignored for way to long – politics. I’ve especially become interested in the politics of my state, North Carolina, as has much of the rest of the country and parts of the world. 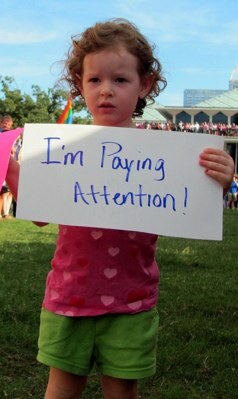 I’ve already written a bit about it here (Will Public Education in North Carolina Rest In Peace?) and here (In Defense of Liberal Arts – Sort’a). Click here to download the large PDF version. The spreadsheet can be seen here. As many of you know, my daughter has been contributing semi-regular blog posts here, featuring selected infographics and some data visualizations. It’s of particular interest to me and one of the few topics I continue to present on in conferences – and with the benefit of time, I’m learning more about working with vector graphics. Making an infographic is fairly easy. Making one that effectively conveys a message is hard. As an IT guy at a local CityCamp said, “Don’t try this on your own.” Well that’s the kind of challenge that inspires me, not to mention the message that our state has been hijacked by corporate concerns, masquerading as social knee-jerk issues. For this project I dug into the North Carolina election results for 2012, the year that it happened. I created a spreadsheet that tied the election results (North Carolina Board State of Elections) in with the costs of the campaigns (Follow the Money) for our governor and General Assembly elections. It revealed some pretty interesting facts about who elected who, how much it cost and who paid for it. See full size infographic here. All fifty seats of the North Carolina Senate were up for election. Democratic candidates received 1,854,358 or 47.22% of the votes cast. Republicans received 2,072,984 or 52.78% of the votes cast. Yet, Democrats won only 17 seats compared to 33 seats to Republicans. I’d like to know what math we teach in schools that reconciles that. Even though Republicans won 76 seats to only 42 seats going to the Democrats, 48% (1,842,541) of the state’s votes were cast blue while only 52% (1,998,155) cast red. Again, an interesting Algebra project. Democratic Senate campaigns spent $3,257,182 (25% of total spending) while Republican campaigns spent $9,602,925 (75% of total spending). In the House, Democratic campaigns spent $6,021,281 (34% of total spending) compared to $11,762,624 (66% of total spending). There seems to be a closer correlation between dollars and who governs than votes. How did this happen? What surprised me was the money spent on campaigns compared to the number of votes. In the state Senate races, each vote cast for a Democratic candidate cost $1.76 in campaign spending. Republicans spent $4.63 for each vote cast for their candidates. For the House races, Democrats owe somebody $3.27 a vote while Republicans own somebody $5.89 per vote. I’ve listed the top contributors to both parties, not including candidate and party committees. These are organizations that contributed more than $100,000 dollars. The red bar shows the portion going to Republican candidates and the blue indicates investments in Democrats. As you can see, most contributed to both parties, though most gave most of their money to Republicans. Looking at specific campaigns, it was a shock to me how much money some of our democratically elected representatives paid for their campaigns. Pat McCrory paid $5.00 ($12,202,756) for each of his 2,440,707 votes. Walter Dalton, the Democratic candidate paid $2.09 ($4,044,750) for each of his 1,931,580 votes. The obscenity is in some of the General Assembly campaigns. Thomas Tillis (Rep), the Speaker of the House, paid $59,15 for each of his 27,971 votes. Phil Berger (Rep), the Senate’s president pro tem, paid $38.59 for each of his 58,276 votes. Tim Moffitt (Rep) spent $23.61 for each of his 21,291 votes and John Szoka (Rep) paid $21.87 for each of his 16,208 votes. To be sure, the Republicans were not the only ones spending obscene amounts of money for their votes. William H. Battermann (Dem) spent $61.30 per vote, getting only 38% of the vote. Rick Glazier (Dem) won, spending $14.47 for each of his 17,266 votes. Jane Whilden (Dem) spent $13.84 per vote, trying to defeat Tim Moffitt (Rep). My state, North Carolina, has a decision to make in November – and it’s not a hard one, in my opinion. It’s the race for state superintendent of schools. We elect our state superintendents, unlike many states, and from the time that I graduated from High School until I joined the NC Department of Public Instruction (NCDPI) 20 years later, my state’s education system was lead through the election and continued re-election (five terms) of Dr. Craig Phillips, a professional educator. Since he left office, we have elected a number of different superintendents. For the last eight years, Dr. June Atkinson has held the position. Dr. Atkinson is a professional educator, having served leadership roles at NCDPI since 1976. When I was at the department, I attended several meetings with Dr. Atkinson, who was heading up business education, and observed the respect she had earned from everyone else I knew. Shortly after I left, the morale at the department was boosted when June became Director of the Division of Instructional Services. Dr. Atkinson was elected to the office of State Superintendent in 2004 and then re-elected in 2008. During this time we have seen North Carolina’s graduation rate rise from 68.3% to 80.2%. Challenging Atkinson in November is Tea Party darling, John Tedesco. He is not an educator, but he has held a variety of positions –– admirably, several of them have been with charitable organizations. Mr. Tedesco was elected to the Wake (Raleigh) County Board of Education in 2008 and is still serving his first term, a tumultuous four years characterized by secret planning meetings and an often riotous board room. The Wake School Board lost its conservative majority during the 2011 election. It is a time for Professionals! Not for amateurs with an agenda. 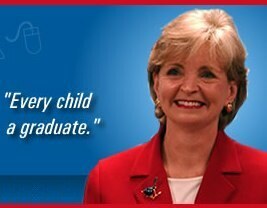 Please Support Dr. June Atkinson for North Carolina State Superintendent.